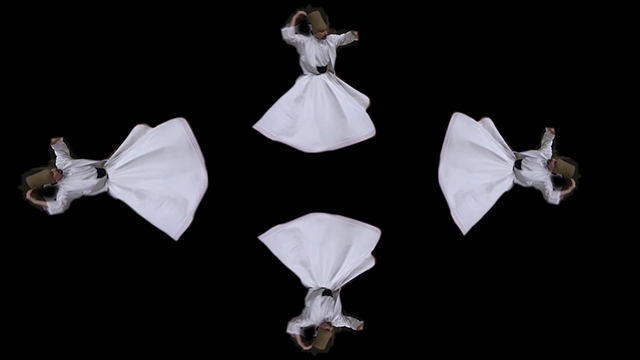 My piece, Looper, is a miniature holograph video installation expressed in a series of looping, twirling and spinning figures and objects that morph into each other. The tiny holograph, both intimate and distancing, expresses a feeling of digital entrapment in conjunction with the mesmerizing trance of repetition. I am interested in exploring the numbing & distancing effect of screens GIFFs, and loops. Laurie O’Brien is an artist working in video, installation, animation, and performance. She is interested in hybrid forms of expression that combine and defy categories. In 2013, she created the “Peephole Cinema” in three cities where short films are screened through a dime-sized hole available to the public 24-hours-a day. Her animations and video installations have been exhibited in numerous galleries nationally and internationally. She is an Assistant Professor of Visual Media in the Photography Department at RIT. She lives in both Brooklyn and Rochester.